Designed and endorsed by Derek Talbot. Talbot Torro Badminton is one of the leading badminton brands in the United Kingdom. 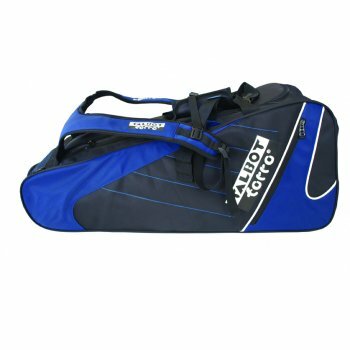 Talbot Torro offer a full range of rackets covering every need from basic recreation, through to the professional player. Talbot Torro are the official suppliers to Badminton England for the BISI (Badminton into school initiative) programme. The modern design of the Iso Power Series incorporates high quality carbon 4 which produces torsian stiff rackets for explosive power, shot precision and fast shuttle acceleration. High string tensions are possible, the rackets have a choice of flex, weight and balance to provide a racket suitable for every category of player. Technical features include power waves, mega power zone, long shafts, slim shafts, graphite handle and U profiles. The Isoforce racket series benefits include excellent handling and the effective transfer of power. The Isoforce series has high quality, technical features such as Long and Slim shafts, Power Bridges, Power Waves, Air Flex+ and Mega Power Zone which provide a maximum amount of additional power for the non-professional and professional players alike. The Isometric head shape with a larger sweetspot compensates for playing deficiences; the Carbon 4 material and in particualr the selected graphite handle of the top models offer comfortable and easy handling. The Arrowspeed racket range have the traditional head shape and the latest technologies. This racket range enables maximum ball control outside of the sweet spot and improved aerodynamics. The rackets canbe strung at high tensions. Test results have proved excellent on the Arrowspeed range of rackets. Top technical features include Triangle Profile. To optimize playing performance the Sportline Series offers features sich as isometric construction which compensates for playing inconsistancies that are made by players learning the game. The rackets are supplied with durable quality strings. This range offers rackets at an excellent price to performance ratio. This series of rackets is aimed at beginners and school players.